Doctors and specialists running their own medical practices are operating in a dramatically changing environment. Regardless of your area of specialisation, you have probably noticed that many patients are becoming empowered consumers, as they have access to an extensive selection of health-related information online. For doctors, this change in consumer behaviour and the rise of multiple digital channels presents a great opportunity for reaching and retaining new patients – provided you understand how to fully leverage the digital landscape. Here, we look at the rise of digital technology as a channel for reaching patients, and discuss how you can successfully reach and convert more patients using this technology. Many patients are becoming avid researchers and consult Google before they visit their doctor. Research has shown that as many as one in three adults may be going online to determine their medical condition, and 72% of internet users look online to find health related information. Crucially, 47% of internet users look online to search for information about doctors and health professionals, and 38% search online to find information about hospitals and other health facilities. Patients will typically research symptoms and conditions before conversion; in other words, they’ve researched their health condition before booking an appointment with your practice. Many of them also search hospital websites and/or browse health insurance company and health information websites just before conversion. These trends are a reflection of the fact that digital channels are overtaking traditional marketing channels. Marketing and advertising through social media, mobile and tablet apps, digital ads and digital sales materials are becoming increasingly important in the healthcare field. This changing landscape provides doctors and medical practitioners with two major opportunities. One is the ability to reach consumers by providing strong digital content that addresses their concerns or problems. The other is connecting with those that are searching for doctor-specific information online by building a strong, authoritative online presence. Your digital marketing campaign can be used to complement other efforts such as referrals or traditional marketing tactics (such as direct mail-outs) with a strong local focus. Digital marketing does not need to be complicated, and you can even outsource the entire process to marketing professionals. What’s important is you take steps to build a strong online presence, ensuring you’re the first practice that pops up when prospective patients are browsing online. Your website is your core tool for marketing your medical practice. It’s the place where you can drive online traffic, share digital content, and build a profile that establishes your credibility and transparency, so that prospective patients can get to know and trust you. 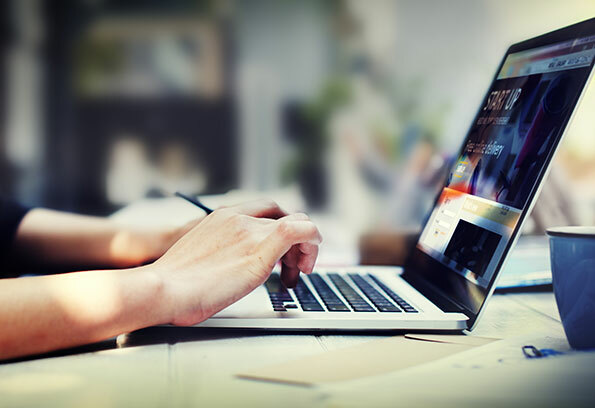 Work with a website developer to create a professional-looking website on which you can post blog articles, link with social media accounts, and easily connect with potential and long-term patients. In addition to your website, you should be taking measures to monitor your reputation online. You can set up a Google Alert to keep track of what is being said about your practice on common review websites. Where possible, claim your business listing on high-profile business directories, and thoroughly complete your profile to give users as much information as possible. Providing useful, relevant content on your website not only allows you to connect with prospective patients searching for answers – it enables you to rank higher on Google’s (and other search engines) results pages. Around four to eight blogs a month, with each post at least 800 words in length, is usually sufficient to help improve your ranking. You can outsource content writing to professionals if you don’t have the time to constantly update your blog yourself. Good SEO practices are vital for good rankings, and your marketing partners can help you with that. Great content and the implementation of effective SEO tactics helps you funnel traffic to your website, whether these users are searching for your practice name, practices in their local area, or just general information about health conditions. You can then use analytics to further refine your online campaigns, so that you target a more local online audience. Many people use social media platforms such as Twitter and Facebook to research individual medical practices and read reviews from patients. When your online social media strategy is effective, it can help you earn referrals and attract more patients. Targeted paid ads, content-based campaigns (where, for example, you share valuable articles and multimedia content), and proactive responses to posted questions can all help you use social media to funnel more traffic to your business and make more conversions. As with SEO, you can then use analytics to refine your social media campaigns. Content marketing can take some time before it starts generating significant traffic, so you could consider using paid search advertising to initially drive traffic to your website. Paid search ads places your ad and website link right at the very top of a search engine results page. You can easily control the cost of these ads and track traffic and conversions with the range of complementary tools search engines make available. If you don’t have time to manage your paid search advertising campaigns, a digital marketer can take care of the entire process on your behalf.